One thing that irks me a bit with barbecue sauces are those that sell you on a specific trait, then don't deliver on it. So when I first began developing this recipe, I went in big with the cherries to make sure they had a distinguishable presence in the end. 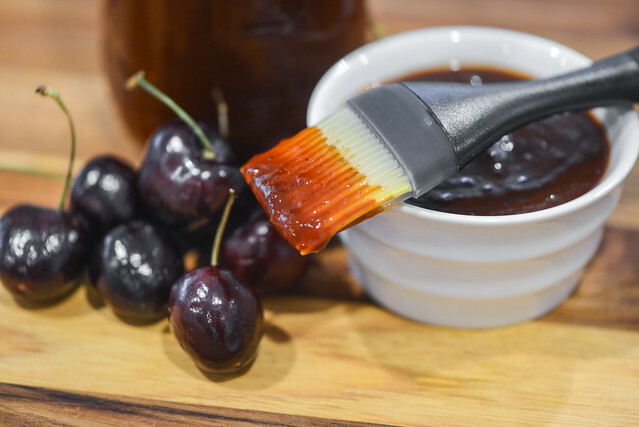 It's almost an entire bag of frozen cherries, and those aren't the cheapest things, so this sauce requires a bit more of an investment, but it's totally worth it. 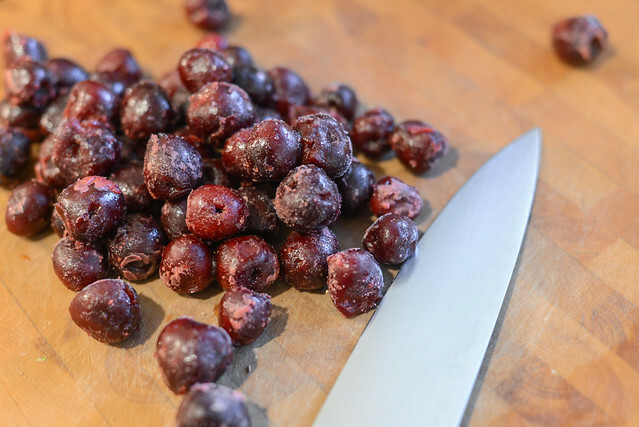 I opt for frozen cherries since the quality will be consistent all year round and they're already stemmed and pitted, which is a great convenience. 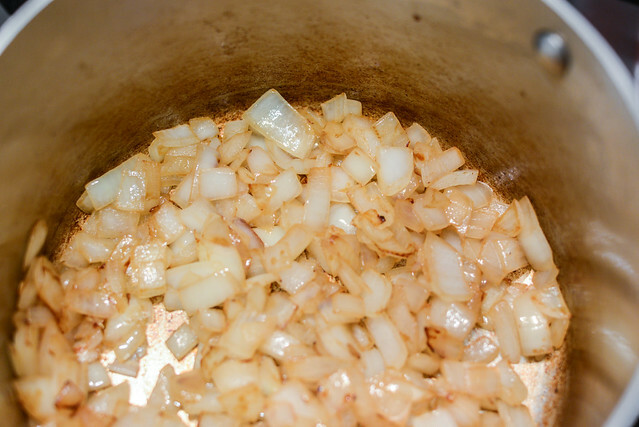 As with all my sauce recipes, I like to start with real onions that I sauté until lightly browned. Onion is a pretty common component in barbecue sauce, but often in powdered form, which has a much harsher flavor. I feel like incorporating the onions this way make them meld more seamlessly into the final sauce and add another dimension of sweetness. 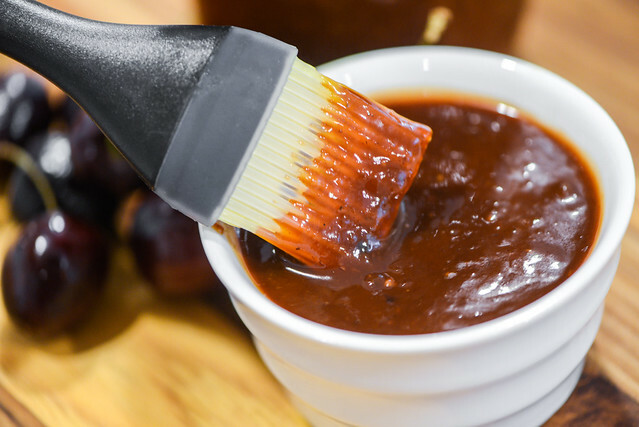 The rest of the ingredient list pretty closely follows my standard sweet and spicy barbecue sauce—so you can kind of derive a recipe for that from this one. The one big difference is the use of chipotles, whose spicy, earthy, and smoky flavor compliment the cherries really well, in my opinion. Once I dump all the ingredients into the pot, I allow it simmer to both meld and slightly thicken—usually letting it go between 20 and 30 minutes. I feel like my photos make everything look neat and tidy, but in reality, if you turn to the other side of the camera, my kitchen often looks like this. 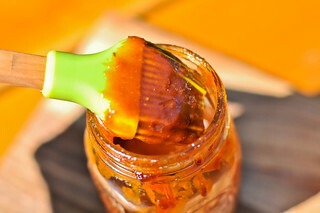 Sauce making takes so much out of the pantry and fridge, it certainly clutters up the kitchen and leaves a somewhat timely task of putting everything back in order afterwards, but that's a small price to pay from so really fresh and quality barbecue sauce. 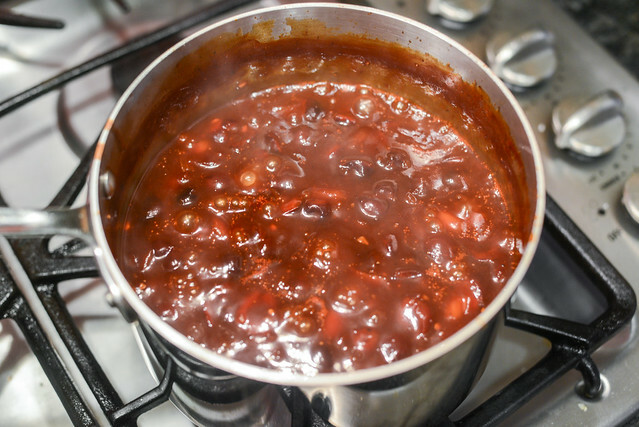 Once done simmering, I remove the sauce from the heat, let it cool slightly, and then blend. 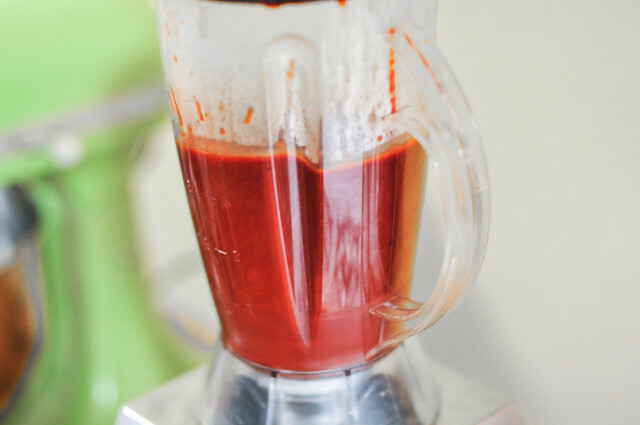 To make things easier on me and require less cleaning, I like using an immersion blender, but I think a normal blender is the more common household instrument and it can usually get the sauce even smoother. 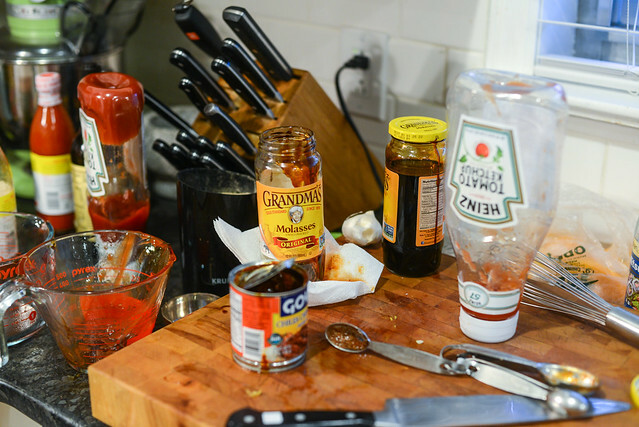 At the end of all the work and cleaning, you're left with one really killer barbecue sauce. This one has a ton of complexity and all the sweet, tangy, and spicy flavor you'd expect. There's the added bonus though of a tomato that's mixed with tart and lightly sweet cherries that have a great smoky and spicy kick from the chipotles. I think it's also a real crowd pleaser with a spiciness that's enough to satisfy heat lovers, but not so much the average person couldn't enjoy the sauce. 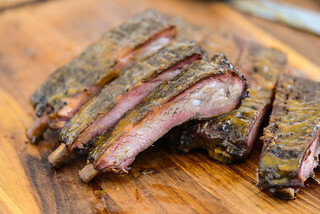 It also works great both on and off the grill and I've used this sauce in the past on everything from barbecue chicken, to ribs, french fries, and burgers. It feels kind of good too to finally have released a recipe I had been guarding into the wild so other folks besides just me and my friends can hopefully derive as much joy from this sauce as we have. A strong tart and slightly sweet cherry base mixes with spicy and smoky chipotles to make one really unique sauce you'd be hard pressed to find on a grocery shelf. Heat oil in a medium saucepan over medium-high heat until shimmering. Add onion and cook, stirring occasionally, until softened and browned around the edges, about 7 minutes. Stir in garlic and cook until fragrant, about 30 seconds. Stir in ketchup, cherries, vinegar, brown sugar, orange juice, honey, molasses, chipotles in adobo, Worcestershire sauce, mustard, salt, adobo sauce, chili powder, black pepper, white pepper, and cayenne pepper. Bring to a boil, then reduce heat and simmer until slightly thickened, 15-20 minutes. Remove from heat and let cool slightly. 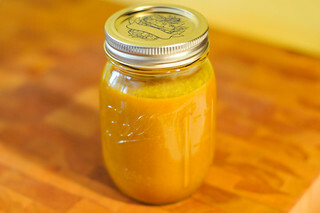 Puree sauce with an immersion blender, or transfer sauce to the jar of a standard blender, and process until smooth. Transfer to an airtight container and store in refrigerator for up to two months. Wow - this looks really good! I think I'm going to try it with some canned sour cherries that I've got at home. I'm feeling like trying it right now. It seems that this will make my chicken really tasty.